DNS servers allow your puter or other gizmo to resolve a domain name to an IP address. The IP address is literally the address of the server on the internet – much like a street address. 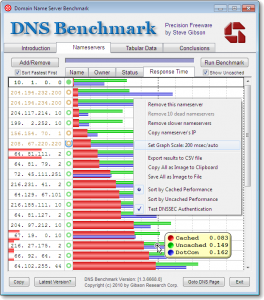 DNS is an integral part of surfing the net. Without DNS, you couldn’t just type scottiestech.info into your browser; you’d have to type 82.221.128.199. So yeah, DNS is pretty handy! Now, if you recognized the name Akamai, you will realize that darn near all of the internet uses Akamai to speed up their sites. From video streaming to commerce sites to news sites both small and large, Akamai is everywhere. After spending literally months trying everything under the sun, I went back to Square One and did some very thorough and tedious tests. What I discovered is that if I stop using 1.1.1.1 and 1.0.0.1 (CloudFlare’s DNS servers), suddenly all my surfing problems vanished! So, then I ran some more tests. It appears that CloudFlare’s DNS servers are often either crapping out entirely, or returning strange results. For example, with my ISP’s DNS, files from PayPal downloaded during an attempted payment appear to be coming from a server in France. This makes sense, since I’m France. In contrast, CloudFlare’s DNS will tell me I’m connecting to PayPal’s edge servers in another country, like Germany or even the USA!! That totally defeats the purpose of a CDN, which is to have content loading from a closer, local server to keep things fast. 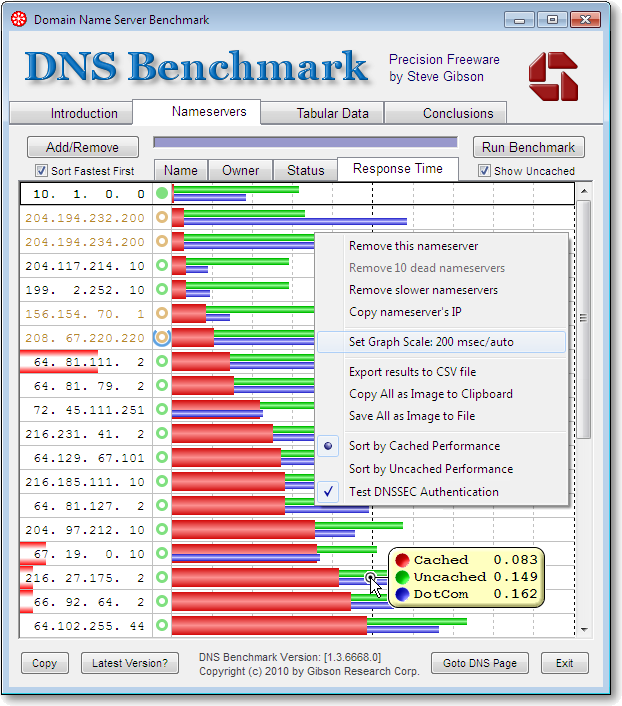 Well, then I got REALLY curious, so I download Steve Gibson’s handy tool DNS Benchmark. You simply download and run the file, and run a benchmark. Naturally, I ran it multiple times at different times during the day (and on different days). The results were pretty shocking. It turns out that my ISP’s DNS servers are the fastest for cached queries (faster than CloudFlare even). For uncached queries, my ISP’s DNS servers are 20% slower than CloudFlare’s DNS and 12% slower than Google’s DNS (8.8.8.8). Now, that may seem like a huge difference, but we’re talking about 84ms vs 69ms. Either way, that’s a TINY amount of time. What’s more, what good are those faster times if PayPal and another 3rd of the internet don’t work half of the time? In any case, 69ms for CloudFlare is nowhere near the claimed 11ms times displayed on DNSperf.com!! Right-click on the WiFi or Ethernet network you are connected to, then click Properties. Congratulations! You’re now using your old DNS, and your PayPal / Akamai / AliExpress problems should be gonzerooni. Those seem to work just fine, as usual. For now, I’ve decided to stick with my ISP’s DNS since the actual, practical results I obtained using DNS Benchmark seem to indicate that neither Google nor CloudFlare’s DNS are actually as fast they claim – at least for me, from where I live. I should also add that yes, I saw a speed boost when I first started using CloudFlare’s DNS last year, but those gains seem to have vanished – especially if I can’t ever use PayPal! So, I’m curious: Is anybody else out there having problems with CloudFlare DNS, or am I just lucky?? Cloudflare’s DNS seems to work fine for me here in Australia, although DNS Benchmark reports uncached query responses at anywhere from 26ms to 371ms (average 130ms). I haven’t noticed any dropouts or slowness that I would attribute to the DNS. I normally use NordVPN to scramble my browsing metadata on the client ISP side, however it looks like having the VPN on makes no difference to the DB results, so that’s good news. I also moved my website domain delegation over from Amazon Route 53 to Cloudflare late last year, and administration has been straightforward and user-friendly, with DNS record changes effected quickly. So, maybe it’s some problem localized around here? I know other people in SW France have had similar issues with CF, so it’s not just me. I’m wondering how widespread the problem is, or if I’m just super-lucky. Thanks for another data point! I did look at CF’s reported bug list, and it’s pretty impressive. Then again, they’re fixing them – usually.